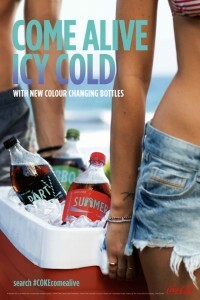 Coca-Cola South Pacific has today announced the launch of a new summer campaign featuring packaging which will change colour based on the drink’s temperature. 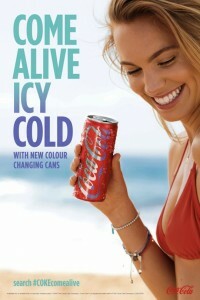 The temperature controlled designs – a first for Coca-Cola – will feature on most Coke packaging variants – the 250mL cans and 390mL, 600mL, 1L, 1.25L bottles and frozen cups. 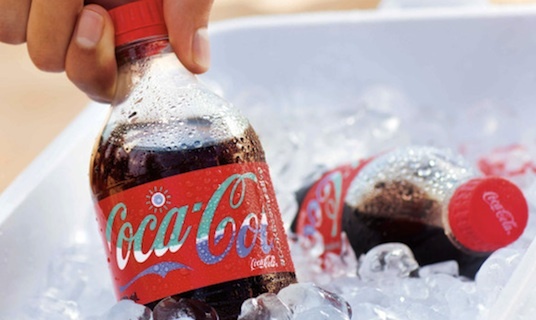 The ‘Coke come alive’ campaign, will see the packaging transform colour when the drink reaches “optimal temperature for enjoyment” in an aim to recruit new drinkers, mainly the youth market, and to engage with existing product loyalists. Teen celebrities Troye Sivan, Cody Simpson and Tigerlily have been recruited to help the campaign target the youth demographic, as part of Coke’s second-year-running exclusive partnership with Universal Music. These artists will feature alongside other key teen influencers providing cross-channel content on social media. Part of a multi-million dollar national integrated campaign push and an evolution of the ‘Colour Your Summer’ campaign, it will include image recognition technology, where users can take a photo of their drink when it changes colour to win unique experiences, content and event access. This image recognition technology will also be able to recognise ‘Come Alive’ colour packs across other Coke products Diet Coke, Coke Zero, and Coke Life. Outdoor advertising will also drive the campaign in strategically selected youth-oriented hotspots, as well as point-of-sale merchandising in stores nationwide. Group marketing manager Coca-Cola trademark, Coca-Cola South Pacific, Dianne Everett believes the campaign will “provide a platform which will excite people about this iconic brand over summer”. The popular young talent featured in the campaign “have great appeal” to Coke’s target audience, she says, and will help in “igniting a conversation with both existing and new customers”. The campaign is running in collaboration with Ogilvy Sydney, UM, Passport, Adhesive PR, Satellite and Momentum.